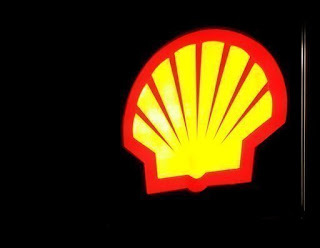 LAGOS — Anglo-Dutch oil giant Shell said on Friday that theft, sabotage and operational reasons caused 27,580 barrels of oil to spill from its facilities in Nigeria last year. "Sabotage and crude oil theft was the cause of 22,310 barrels spilled from SPDC (Shell Petroleum Development Company) facilities in 112 incidents, an average of about one spill every three days," the company said in a document released to AFP here. It said the balance of 5,270 barrels was due to 32 operational spills recorded during the period. The company said security agents arrested 187 people and seized 20 tankers, 15 vehicles, 28 barges and 38 other boats allegedly involved in oil theft in 2010. Shell said it paid more than $1.7 million in compensation only to those affected by operational spills. Under Nigerian law, compensation is not paid on damages caused by sabotage. It said that on average sabotage accounted for more than 75 percent of oil spill incidents and more than 70 percent of oil spilled from Shell facilities in the Niger Delta between 2006 and 2010. In January, environmental campaigners in the Netherlands accused Shell of destroying lives and the environment in the Niger Delta, and urged Dutch MPs to wade into the matter. Shell said in its defence that it applied "global standards" to its operations around the world.